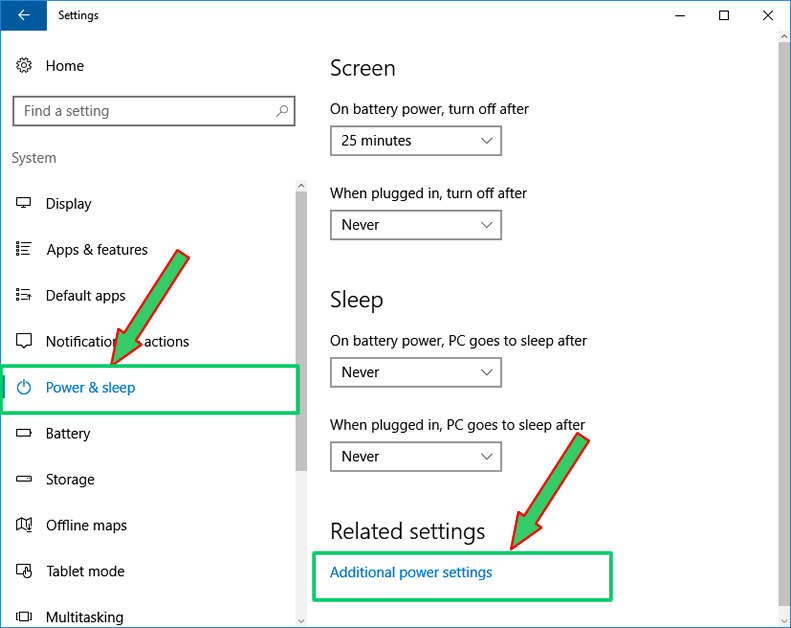 It is not longer a news that the power option of Windows 10 does not have the Hibernate option in it's list. 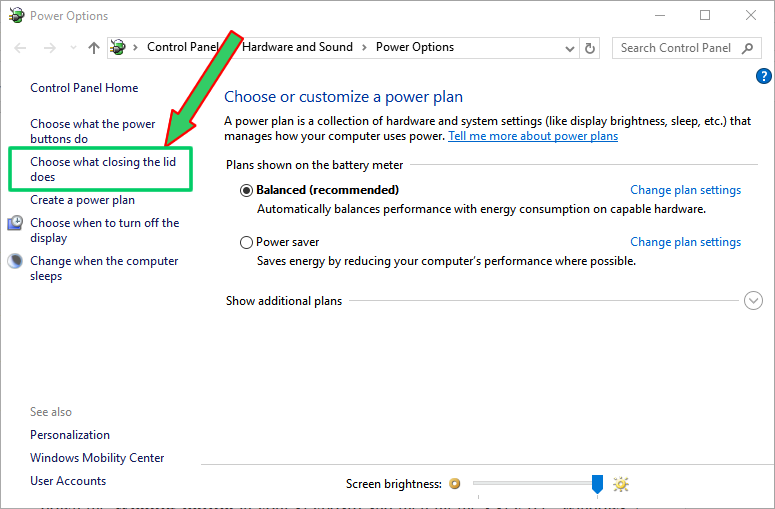 This does not mean that the Hibernate power feature is not supported in Windows 10, it is, but Microsoft instead of adding it to the default power option decided to leave it to users who want to use it to activated the feature themselves. So we are going to explain to you how you can activate it. 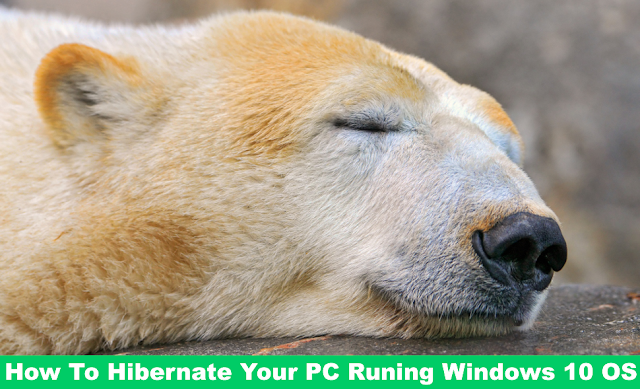 But one thing you should have in mind is this, after you have activated the Hibernate feature, it does not mean that Hibernate will now be listed among the power options of Windows 10, rather, during the activation process, you will be asked to specify which hardware action should trigger the Hibernate functionality. So in this example of our, we are going to specify that, the computer should Hibernate when you the press the hardware power button of the computer. So let us get on with it. 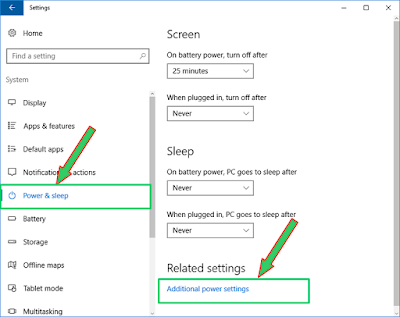 Select System in the Windows Setting screen and then Power & Sleep in the left navigation section of the System screen, then click on Additional power settings in the Related setting section in the right of the screen. 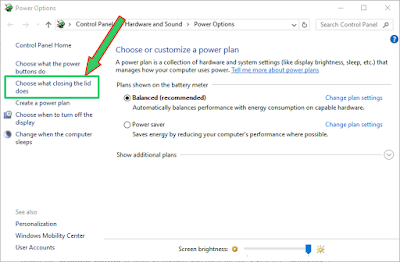 Next click on Change what closing the lid does in the Power Option screen of the Control Panel which will open. 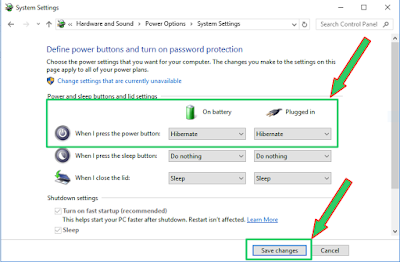 Finally, in the On battery and Plugged in section, change the When I press the power button: option to Hibernate and click the Save changes button at the bottom of the page to apply the changes. Now you are good to go, because when you press the power button of your computer, the your computer will Hibernate. 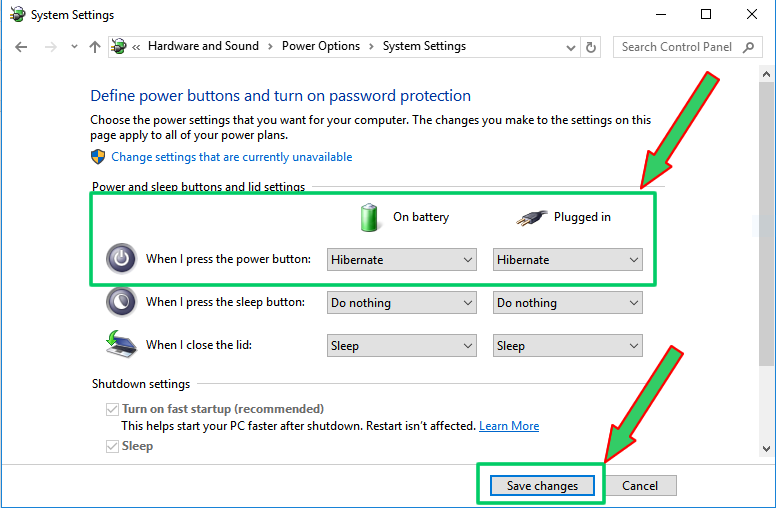 This is the know way of activating and using the Hibernate feature on your computer which is running Windows 10 build number 14393.0 (i.e Windows 10 version 1607 a.k.a Anniversary Update).